What should a first draft look like? The only correct answer to this question is the old English saying, “How long is a piece of string?” The question is a relative one; the answer is different in every case. And yet the question is important to any writer seeking feedback on their work. Because each writer’s process is different—sometimes wildly so—from the next writer’s, a first draft can be anything from a fairly polished piece of work to a near stream-of-consciousness ramble. I’ve seen first drafts entirely lacking punctuation; with characters unaccountably disappearing, or their personalities flipping and seesawing; with subplots appearing and vanishing like quarks in the primordial soup. The question is one of assumptions and expectations. Imagine the prospective buyer of a new home turning up to find the walls have only been framed and the sheetrock isn’t up yet: they’re going to get a bad shock, and take issue with the seller. Similarly, unless the reader’s expectations are somewhat aligned with the individual writer’s concept of a first draft, any critique is likely to be off the mark and there’s a good chance one or both parties will be left unhappy and frustrated. Fortunately, extreme examples aside, there’s a bell-curve graph with most writers’ first draft output sitting somewhere in the middle range (in fact, we should probably never show anyone an absolutely raw first draft, which I define as a rough draft, but rather a ‘breathed-over’ version, one we’ve at least done a fast pass through to pick up the most horrid inconsistencies and omissions). In general, I believe a first draft ought to be readable and somewhat internally consistent, though lacking polished prose or elaborate sensory and setting description. The major characters should all be present and, on the whole, believable, though goals and motivations may be shaky and need bracing and solidifying; plot and subplots will be visible, but probably unfocused and thin in places; pacing may be patchy, and some scenes will be working better than others; there will likely be structural issues, scenes in the wrong place, or missing; and so on. Unless a beta reader’s expectations are correctly set, they’re likely to spin their wheels on things that don’t matter yet or become frustrated at the unfinished and patchy quality of the work—probably both. I recently ran afoul of this myself with an inexperienced reader whom I foolishly allowed to see an early draft of mine, and who proceeded to comment as though it were a finished work: whereas experienced writers and critiquers will generally make allowances, it’s probably best to save less experienced readers for final drafts. Does the opening hook you? Do you buy the premise? What are the holes in it? Are the major characters believable? Do their goals and motivations make sense? Where do they behave inconsistently? Are the stakes sufficient to keep the reader interested? Is the pacing generally okay? Where are the flat bits? Going back to our house analogy, we’re definitely not ready to choose paint colours yet. What we’re looking for here is to make sure the house is correctly framed with the walls in the right places and the angles true, that the roof isn’t going to leak, and that all the main services are correctly located where they’ll be needed. So although a brief note that more description and setting detail will be required may be in order, no reader of a first draft should even consider line-level edits or (heaven help us) typos. All that stuff will get fixed on the rewrites, or the writer isn’t worthy of the name. So a wise writer will prime their beta readers with notes or discuss the kind and level of feedback they’re looking for in advance. Even the catch-all, ‘anything that’s not working’ is okay, though I prefer to be more specific. If you’re concerned about a question prejudicing your reader (i.e., ‘does the protag’s plan go too well and the resolution appear too easy?’ ), just ask them that at the debrief when they’ve finished reading. Of course, we want to know what is working as well, and to hear that we’ve written a great story or novel, and experienced critiquers will leaven and balance their comments appropriately. But ego strokes should be secondary: as Paul Park once put it, “‘like’ isn’t useful feedback for a writer.” Brutal but true, and why you should resist showing your work to friends and family (unless they are writers) until it’s finished and ready for print. Right now, what you need to know is what’s standing between that first draft and greatness. I’d like to immediately demolish some silly notions. The first is that literary agents and publishing houses are the gatekeepers of quality: this is nonsense. The astonishing amount of truly terrible books published by New York houses all the time, year after year, is proof enough of the speciousness of this argument. On the other hand, I personally know of a few first-rate, agented writers, some with an established readership, who have fine books languishing because they won’t easily fit into a category—acquiring a title is often a group decision, and it seems a publisher’s marketing department can often trump an editor’s judgment and result in a potentially winning book being turned down. This is especially true at a time when the industry is in deep turmoil. Nonsense notions also abound in self-publishing. Although there are authors—some of whom, I suspect, get a good many readers for their books by this ploy—who try to convince everyone that self-publishing is the only way to go, that’s the furthest thing from the truth. 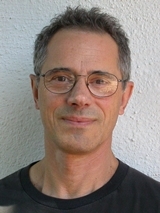 The reality is that most writers lack the objective measures to determine whether they’re ready for an audience (this doesn’t necessarily validate the ‘Ocean of Dreck’ argument); and even those that do have a good book may be temperamentally or otherwise unsuited to the rigours and demands of successful self-publishing. Also, forget about getting POD indie books into bookstores—yes, there are a very few who’ll work with indie authors on a consignment basis, but you’re just not going to get distribution unless you get to the point of having a catalogue of at least 15 or 20 titles—and even then, the economics of POD and the complex, ugly realities of the bookselling business make it a very tough proposition. Your only real chance is in digital editions. Let’s take two case histories (though ‘war stories’ might be a better term), one in traditional publishing, one in self-publishing. Around ten years ago, I was hired to do the initial, fairly substantive, copyedit on a self-help book written by a friend, a medical practitioner with a very successful practice specializing in stress management and hard-to-treat hormonal disorders. He had the knowledge, he had the platform (critical in the nonfiction arena), and his timing was perfect*. I helped him put together a proposal, and before long he’d snagged an agent. My friend’s agent did some further editing, buffing the book till it gleamed. After doing the rounds, the book was acquired by an imprint of Penguin Putnam. Initially, it was a love-fest. My friend was offered a $20,000 advance, a very healthy sum for a first-time author, and told he’d get strong marketing and promotional support. The editor assigned to the book said it was the best-presented book she’d ever seen and that it was good to go. But then, an editor who had summarily rejected my friend’s book just months before while working at another publishing house was hired by Penguin Putnam and put in charge of the imprint. As the book inched towards production, the whole deal turned frosty. The book was given a truly awful, absolutely generic cover that made it look like a technical manual; my author friend was allowed no input on title; the person assigned to do the press release on the book hadn’t read it, and asked my friend to write his own press release; and the book—despite the hefty advance paid—received virtually zero marketing support from the publisher beyond sending out a few reviewer copies. They were going to let it sink or swim on its own. Now let’s look at the other side. Self-publishing, friends, is damned hard. I’ve done it. In the three years since I founded Panverse Publishing, I’ve edited and published four Science Fiction and Fantasy anthologies and my own nonfiction book, ‘Aegean Dream.’ Nonetheless, and despite these attractively-packaged anthologies getting some very good reviews as well as several award nominations for the stories, three of the four anthologies lost money; even the most successful sold less than two hundred copies. Why? First, because the SF field is tiny, and I was an unknown, publishing mostly unknown authors; second, because I had no visibility in bookstores; and, third, because I’m not a great self-promoter. Ah, hindsight. My nonfiction book, ‘Aegean Dream’ is a different story. I’d originally taken ‘Aegean Dream’ the traditional route: after all, here was a non-genre, mainstream book, a bittersweet true story that read like fiction set on an idyllic Greek island, the very island that the mega-hit movie, ‘Mamma Mia!’ was shot on. The book featured food, love, eccentric locals, intrigue, corruption, social commentary, an antagonist, and even cameo appearances by Pierce Brosnan (the movie was shot during our last months on the island). Its theme—escape from the rat race to a Greek island—is a universal one. And finally, it wasn’t the typical, sugary, Year-in-Provence travel memoir, but an unvarnished, tragi-comic story. So I believed I had a very marketable book, and had every confidence I’d do better publishing it via the traditional route. I was also fortunate in having a pro critique group who took my first drafts to pieces and pointed out a number of issues, all of which I addressed in the book’s many rewrites. A good many agents bit on my query but balked at the book’s length—the ms. was 135k words, at least 1/3 over optimum length. One complained it didn’t fit the formula, and was too unvarnished (by which he meant I told too much truth: go figure). But eventually I found an agent who utterly loved the book and felt it was good to go as it stood. After a dozen or fifteen rejections from major houses, all of whom said the book was well-written but the travel memoir category was overfull, or the book didn’t quite fit the category, or it was terribly long, I’d had enough. I decided to publish it through Panverse. Now, I’ve done several stints over the years as a paid copyeditor, and, after working 25 years as a painter/colourist, I have an eye for good artwork, as well as good contacts in the graphic art field. 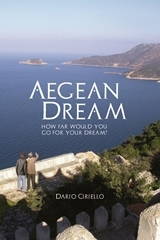 By the time ‘Aegean Dream’ was published, in July of 2011, it was clean, well-formatted, and nicely-packaged, a professional-quality book in every respect. For six months, hardly anything happened. I sold a couple of hundred copies, and couldn’t get the book reviewed anywhere, despite the fact that I had some short story credits and some track record as an editor of well-received anthologies. Yes, even if your book is professionally copyedited, proofread, and has an attractive, well-designed cover, mainstream reviewers still won’t touch you: the stigma attached to self-publication is both pervasive and strong. At least 40 print ARCs (Advance Reader Copies) must have ended up in recycle bins. But then, in January of this year, long after the point at which a publisher would have pulled the book from store shelves, I noticed an uptick. It began slowly, going from a book every day to two, to four, five… and by midsummer, to a very healthy peak of twenty copies a day, six hundred a month, on Kindle in the UK (it’s currently still selling almost a hundred a week, and was Kindle UK #1 nonfiction book on Greece for over three months, getting well into the top several hundred Kindle books on several occasions). ‘Aegean dream’ did all of this with no marketing and no reviews, beyond those that readers voluteered on Amazon. In just a few months, the book has sold over two thousand copies, and I have every reason to believe it’ll keep selling, especially in the summer holiday season. I’ve had fan mail. I’ve started getting inquiries from foreign travel book publishers about foreign language rights, and Amazon sends me a nice check every month, like clockwork. And not a single reader has complained that it’s a long book! I believe my book’s (moderate) success is due to several things. 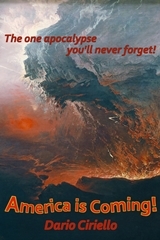 One, I happened to write a book with the potential to appeal to a wide demographic; two, I believe that after years of writing and critiquing and editing I was ready as a writer; and three, as an editor and self-publisher, I did everything possible and co-opted some talented people to put out a high-quality finished product. As a result, when, near the end of the gloomy British winter, readers thinking about holidays in the Greek isles started looking for books on Greece and found and subsequently enjoyed mine, they told friends; and growing word-of-mouth, along with rising Amazon visibility, bootstrapped me the rest of the way. I picked these two anecdotes because I have personal knowledge of the details. From everything I’ve read and the many writers I’ve spoken to in both camps, I’d say that my friend’s experience with traditional publishing, while perhaps not typical, is far from unusual; he did everything right but was unlucky. My own self-publishing experience, on the other hand, is atypical, an outlier: I did a few things right, and I got lucky. In Round Three, on Wednesday, I’ll talk about the emerging wisdom on just how to give your self-published book the best possible chance of success in the market, as well as some ‘Third Way’ options. * The book was in fact groundbreaking, ahead of its time, and it would be several years before some of the topics it dealt with—internal inflammation and Cortisol, and their part in the stress response—became mainstream subjects. So you’ve written a book. You think it’s pretty good, and you’re ready to launch your literary career. The only question is do you go through all the business with agents and publishers, or are you going to take a chance and self-publish? Or perhaps you already have some work in print, but are considering self-publishing (in which case, you’ll want to check any existing contracts before even considering it). Maybe you’re dissatisfied with the status quo in publishing, but concerned that you’ll wreck your career if you self-publish. With all the claims, warnings, and invective flying around, how do you decide? For some reason I can’t entirely fathom—except for the fact that we’re a bunch of barely-evolved monkeys—it seems that everyone feels a need to take sides on every issue, whether or not they actually have a horse in the race. The question of self-publishing as opposed to traditional publishing is, sadly, no exception. On the one hand are those who claim that agents and publishers are the shining guardians of quality, the last barrier between legions of innocent readers and an ocean of vile dreck; on the other are those who claim that the traditional publishing model is broken, corrupt, and deeply flawed, and needs to go, freeing both readers and writers from the industry’s burdensome shackles. In case you haven’t noticed, each camp has fanatical adherents, almost all of whom have an axe to grind. On the one hand are the publishers, agents, and their dependents, all of whom have a lot to lose, and a few, highly vocal, bestselling authors. On the other are authors (and they are many) who’ve either been screwed by publishers, agents, or both, or who just enjoy a dust-up and possibly see the opportunity to burnish their image by stirring up controversy. After years of following the topic, it seem to me that some of the best, most honest, and certainly most exhaustive information on this issue can be found on Kristine Kathryn Rusch’s fine blog. Rusch, one-time editor of the highly respected Magazine of Fantasy and Science Fiction and a bestselling, prolific author across a number of genres, has set out scads of information. Although she doesn’t pull punches over the shortcomings of the existing publishing model, she has a foot in both camps, and—most importantly—had established her own bona fides and gained a dedicated readership before flying solo. When you’re done here, you’d do well to visit her blog, ‘Business Rusch’ (link above left). 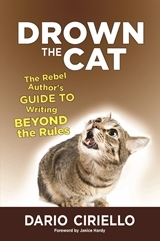 Bottom line: a self-published author is most likely to succeed if they (i) already have a following; (ii) not only write well, but also take steps to ensure their book is thoroughly copyedited, proofed, formatted, and presented to the standards of a traditionally published work or better; and (iii) are prepared to aggressively market and promote their writing. Most self-published books sink without a trace—and deserve to! There are probably a bunch more. 1. Do you have any objective measures (friends’ and your mom’s opinions don’t count) that lead you to believe your work is really ready for a wide readership? 2. Are you prepared to invest a lot of time and at least several hundred bucks (a couple of thousand to really do it right) in preparing, polishing and formatting your work to professional standards? Because if you don’t, you’ll almost certainly fail. 3. Are you temperamentally suited to the endless self-promotion and multiple other tasks required to succeed? If you can honestly answer ‘yes’ to all three, self-publishing may be for you. I’m delighted to announce that Lin Barrett is the winner of the free critique! The winner was determined using the random number generator at random.org. 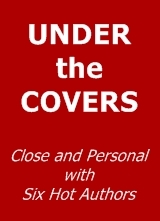 TOMORROW I’ll post about the dirty little secrets of both TRADITIONAL AND SELF-PUBLISHING! With WorldCon (the World Science Fiction Convention) just three weeks away, I’m in a festive mood. WIN A FREE CRITIQUE*: Leave a comment below. WIN A PRINT COPY OF PANVERSE THREE SIGNED BY THE EDITOR (me)**: just go to the Panverse website and use the contact form (click Category: Contest, or use Contest as the subject line, and include the word, ‘Anthology’). The contest will be open until Midnight PST Tuesday, August 14th. Winners will be announced on my blog and on the Panverse Facebook page the following day, Wednesday August 15th. * Critique: manuscript must be Science Fiction or Fantasy (all subgenres included); length up to 5,000 words, or the first 5,000 words of a longer work. Critique will consist of a ‘macro’ overview as well as inline comments. Winner may transfer critique prize to a friend or relative. ** Panverse Three (Trade paperback): Prize includes Priority Mail postage US/Int’l. The recent senseless events in Aurora, CO brought home to me yet again the central irony that underlies the security of our society: that two of civilization’s greatest strengths—compassion and free speech, two noble ideals—are also our greatest weaknesses. And it made me turn again to a favourite play written 2,500 years ago. The fact that I’ve taken very little interest (beyond the general facts) in the Aurora killings doesn’t mean I have no opinion. I have no need (do you?) to see rescuers carrying blood-soaked victims from the scene, or scenes of anguished, weeping parents and friends of loved ones, or to know the shooter’s background and what others thought of him. I know we seek out the detail, the minutiae, largely because we need to understand how and why these terrible, senseless things happen, why previously harmless people suddenly blow and slaughter random, innocent strangers; yet for me, the how and why seem terribly obvious. But let’s look at the irony first. The Aurora, CO shooter, like almost all these sickos, got exactly what he wanted: fame. He got it because the rest of us believe in free speech and a free press. The same holds true for terrorists—where would they be if the media simply ignored them? Powerless, since their power is rooted in fear. Similarly, terrorists use our compassion against us by taking hostages. When we place high value* on every individual life—as we do in civilized societies—they have us over a barrel. So although logic dictates that one should never, ever accede to a terrorist or kidnapper’s demands, we invariably (and often despite public denials by the authorities that demands were met or ransoms paid) do. Again, publicity pays a part, but compassion is the underpinning here. Because we place a higher value on a single life than people in many parts of the world place on a hundred, an entire nation’s foreign policy can be affected or its leadership toppled by fanatics on the other side of the world taking a few dozen hostages. But whatever logic may dictate, humans don’t typically act on it, much less so where strong emotion is involved. Although simply denying extravagant publicity to terrorists and flashy mass murderers would rob them of a good deal of their power, I don’t expect it to happen soon. So where does this leave us? Returning to domestic (i.e., US) violence, I don’t for a moment believe more stringent gun laws are the solution. They didn’t help in Norway, and the Aum Shinrikyo cult in Japan came within an ace of killing thousands without firearms**. We could argue about smaller capacity magazines causing less deaths, but that doesn’t address the core problem, which is one of a very deeply sick society. Just two generations ago dynamite and fully automatic weapons were freely available in the US, and nobody went around shooting up cinemas or blowing up high schools. What happened? What changed? For an answer, we could do far worse than look back 2,500 years to the great Greek tragedist, Euripides. Euripides was over 70 when he left the frenzied, disillusioned, war-obsessed city of Athens for the freshness and mountains of Macedon, never to return, and it was there that he wrote his penultimate and, to my mind greatest, play, The Bacchae. The Bacchae is—among other things—a demonstration that the consequences of refusing ‘worship’ in this sense to Dionysus are disastrous, since such a refusal is a denial of undeniable fact; it is a ‘condemnation,’ if you will, of intolerance, violence, and cruelty, all of which are generated when humanity tries to deny either of the two sides of its nature. Does any of this ring bells? In my recent 4th July post, ‘On Freedom,’ I wrote about the increasing and often petty limitations on our own freedom, such as not being allowed to enjoy a beer on a beach. In our earnestness to make our society ever safer, we continually tighten the restrictions on individual behaviour at the same time as we turn up the heat and pressure on everyone. Oh, it’s all well-meaning: we are compassionate, we want nobody to be hurt or suffer. So we legislate for every eventuality, and then look for more loopholes, and close those off. Public drunkenness makes us uncomfortable, threatens us, so we have rules against it; but soon those rules don’t seem enough, so we make more rules… and more… And like King Pentheus, the more rules we make, the greater our fear of and sense of threat at even minor infractions, until eventually, all of us feel penned in and unable to move, with all the safety valves shut off. Something has to give, and some people will blow—with sometimes catastrophic consequences. In a conflict between a God and a king, who would you place your money on? *someone recently calculated, using a complex and arcane procedure, that the value of a human life in the US is currently around $8 million.